ALL IN ONE. Carry one sturdy card that includes all of your membership and waiver information right on the back. 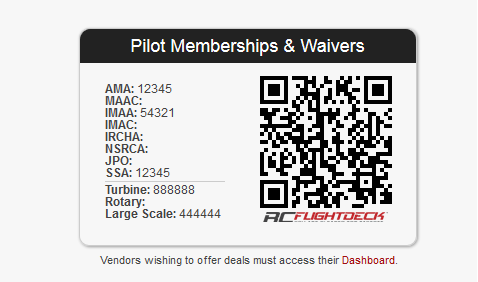 Behind the QR code, your account stores all of your aircraft and registration information, making it easy for you to sign up for any event hosted on RC FlightDeck either online or in person with the card. CUSTOMIZE WITH YOUR PHOTO. Customize the full color composite card with a photo of you or your favorite aircraft. You’ll be proud to use it at events and with participating vendors that accept the card in person. INSTANT REGISTRATION. Event hosts who use the RC FlightDeck system to manage registration can scan your card with almost any smartphone or use your membership number to either register you instantly or check you in on the spot. 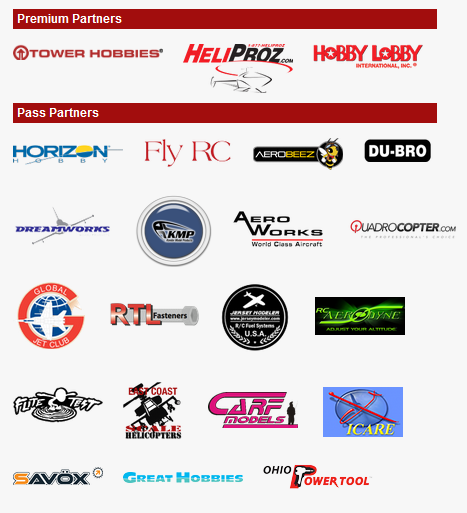 As a Pilot Pass or RC FlightDeck member, you can always register online for any event in just a few clicks. Next Blade 350 QX RTF and BnF ~ The GoPro Compatible Quadcopter from Blade!